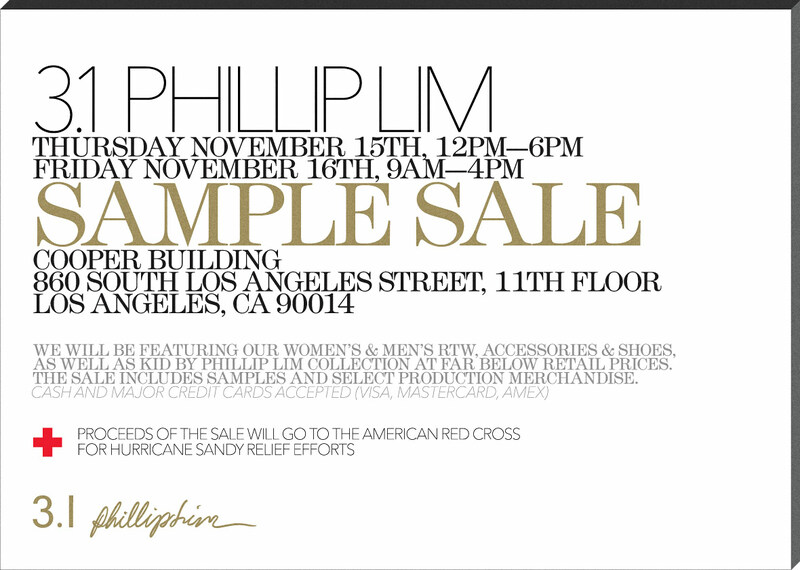 LA Holiday Sample Sales-3.1 Phillip Lim, A.L.C., and More! A few of my favorite brands will be holding holiday sample sales next week! It's time to stock up on holiday gifts, holiday frocks, and holiday "I saved a ton of money" cheer. The first ever 3.1 Phillip Lim LA sample sale will be on Thursday Nov 15 from 12-6pm and Friday Nov 16 from 9am-4pm at their Cooper Building showroom. Part of the sale proceeds will go towards Hurricane Sandy relief efforts. The A.L.C. sample sale is also on Thursday and Friday and in the same building so it's kind of a no-brainer to go to this one as well. They're providing a $10 discount to facebook and twitter followers! Hurray for social media! 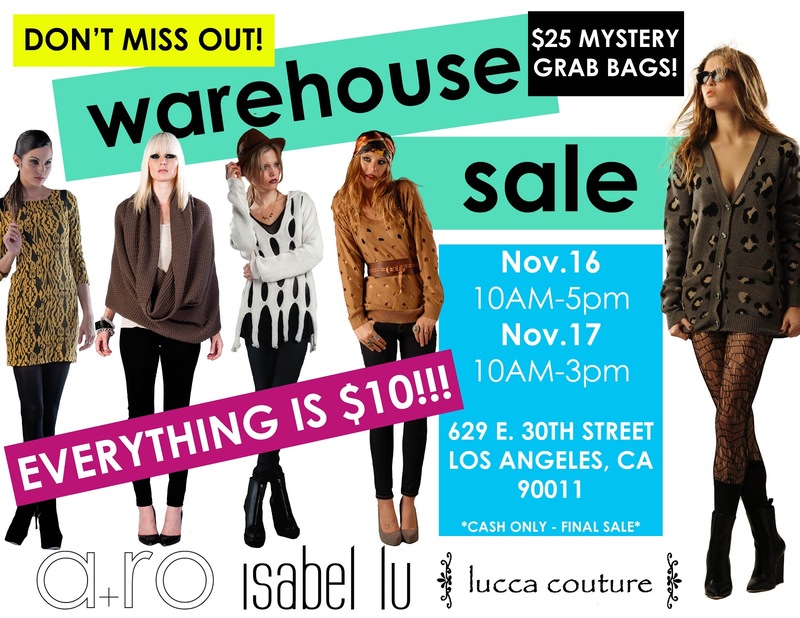 The Isabel Lu, A+Ro, and Lucca Couture $10 everything warehouse sale is on Nov 16 from 10am-5pm and Nov 16 from 10am-3pm. Even as I type, I'm still in utter shock. $10? Everything? What a unicorn of a sale! Don't forget to tweet me your loot! If I only lived in LA these are some killer sales for a great cause! wow wish to be there!!! So envious! I really want to go! Wow I wish I was on your side of the pond! So jealous that you can go to these!